A METAL tie-in! "BATS OUT of HELL" finale! it's the Justice League versus the Dark Knights! FigureHT! the Dark Knights have taken a fallen Justice League to the frightening castle of [REDACTED] inside the possessed Gotham City, where they will be prepared as a sacrifice! 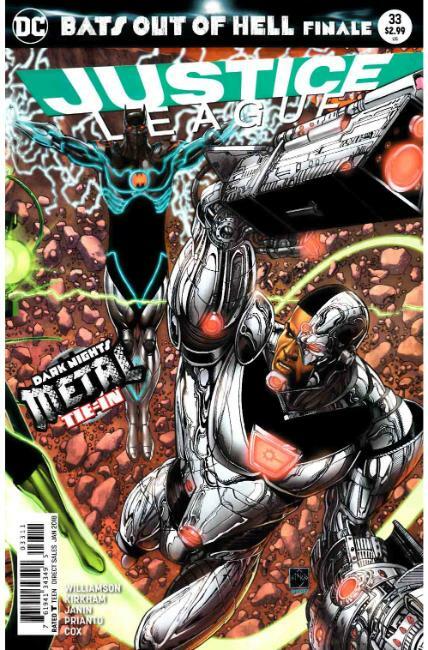 The Justice League's only hope is Cyborg, whose return from the Dark Multiverse has changed him forever!